The first step to being found by the search engines is optimizing. It is important that we resubmit your site any time you make significant changes. Search engines revisit on a regular schedule. Resubmitting after major changes will help ensure that your site's content is kept current. Submitting to Directories such as Yahoo, LookSmart and the Open Directory are essential. Directories are search engines that are powered by human beings, rather than by crawling the web. Because humans are involved, directories tend to list only a few pages per web site. Submit site to the major search engines. Ask for Quote: for a search engine package that best suits your needs. Why not free yourself up to do what you do best, run your business and leave the links, algorithm shifts and all of the other SEO techniques to the experts. Hire us now to get your website found and keep it visible on the web. 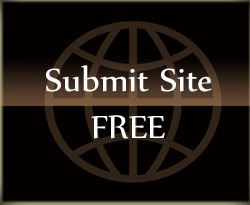 Fill in our Free Quote Form and let us know how we can help you get the exposure your site needs. Once we have fully optimized each page we then submit them to the search engines. Making sure you have been indexed is the next step in bringing customers to your web pages. Listed Below are the search engines we submit your site to. Your listing will appear on the above search engines anywhere from one day to usually 10 weeks. If you cannot find your listing try searching for your URL. There are several factors that may block you from being listed on the above search engines or penalize your rankings. But we will do our best to give you the best coverage possible.